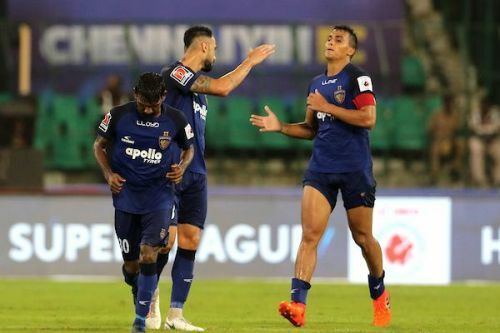 ISL 2018-19: How the big guns of Chennaiyin FC fare so far? Chennaiyin FC has been disappointing in the first two games and lost both to FC Goa and Bengaluru FC in the Hero Indian Super League so far. The Blues were expected bigger things following their Championship status last season. The absence of Bikramjit Singh and Henrique Sereno is taking a toil already. Anirudh Thapa and Eli Sabia have taken up the role, but they should step up their gear to replace those men who were so crucial to Chennaiyin's success last season. There we lots of positives when the Blues took up the field at Kanteerava Stadium on September 30th. Lack of cutting edge to find the back of the net proved too costly for the Marina Machans as they had to come away without gaining any points. Succeedingly, the defeat to Sergio Lobero's Goa was deserved, and even the coach John Gregory accepted that Chennaiyin were flat and didn't earn anything out of the game in the post-match press conference. But, Chennaiyin FC have a lot of time to put things back on track as they eye for a place in the playoffs. Let's have a look at the big guns of Chennaiyin FC in the first two games of the season. It is always going to be demanding to score goals as a striker under the management of John Gregory. Besides, he was able to find the back of the net nine times last season. The Chennaiyin FC coach has built a side which is defensively astute to cut down the leakage of the goals. This will see the wingers Gregory Nelson and Francisco Fernandes getting overloaded with defensive duties to support the full-backs. 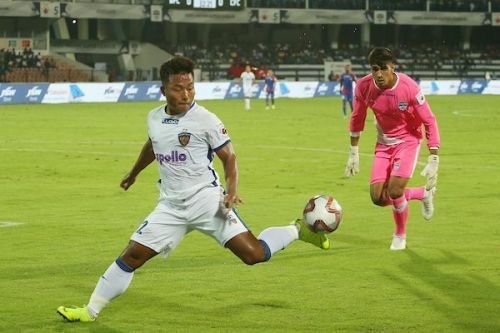 The 27-year-old had two straightforward chances against Bengaluru FC during the first game but failed to convert both which proved to be decisive in the result. During the second game against FC Goa, Jeje didn't threaten the defenders and looked isolated for most parts of the game. His substitution paved way for the Argentine Carlos Salom, who produced the injection of pace which they lacked when Jeje was on the field. In fairness, Jeje and Salom are different kinds of strikers. One likes to hold up the ball and another is fully dependent on the pace. Despite the poor start, John Gregory has immense trust on the Indian striker and is likely to retain his place.